Just like on the boys side, it’s an early fall from grace in Class AAAAAAA for No. 6 Norcross, who tumbles five spots after getting thumped by Class 6A No. 2 Forest Park 61-33 and losing to Class 6A No. 6 Stephenson 55-53. Much like last season, injuries already have the Lady Blue facing adversity as top posts Tionna Carter and Yamani Paul are hurt. No. 1 Collins Hill rises to the top of the poll following two Top 10 wins over Parkview 81-58 and No. 9 McEachern 62-57. The Panthers (1-1) fall out of the rankings and are replaced by No. 10 Grayson. Double-double machine Jazmin Robinson (Navy track & field signee) has carried the Lady Rams along with Victoria Dames. Grayson scored wins over Class 5A No. 8 Woodland-Stockbridge 65-46 and Class 5A Preseason No. 10 Luella 58-54. In other ranked victories, No. 2 Westlake defeated Stephenson 65-53, No. 4 Brookwood snuck past Class A-Private No. 4 Holy Innocents’ 58-57, No. 5 Hillgrove edged Class A-Private No. 7 Lakeview Academy 64-59 and No. 8 North Forsyth knocked off Class 3A Preseason No. 10 Pace Academy 45-35. There was a clerical error to open the season in Class AAAAAA. Tucker (0-3) was ranked in the Top 10 without knowledge of all their top players still being suspended from last year’s playoff disqualification. The Tigers have lost their first three games by an average of 44.6 points. They are replaced by No. 10 Glynn Academy. The Red Terrors defeated Ware County 56-47 behind Zoesha Smith’s 38 points and 17 rebounds. Defending state champion No. 1 Lovejoy has rolled so far, winning by an average of 44 points per game, highlighted by a 66-37 dismantling of Campbell, but Region 4 rival No. 2 Forest Park looks like a legitimate title contender after blasting Class 7A Preseason No. 1 Norcross 61-33, No. 6 Stephenson 43-28 and No. 4 Douglas County 42-30. No. 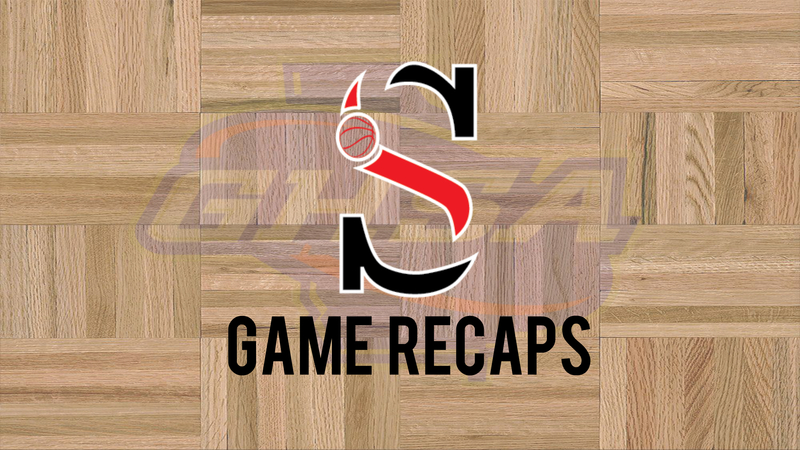 8 Dacula drops four spots after losing to Central Gwinnett 62-56. No. 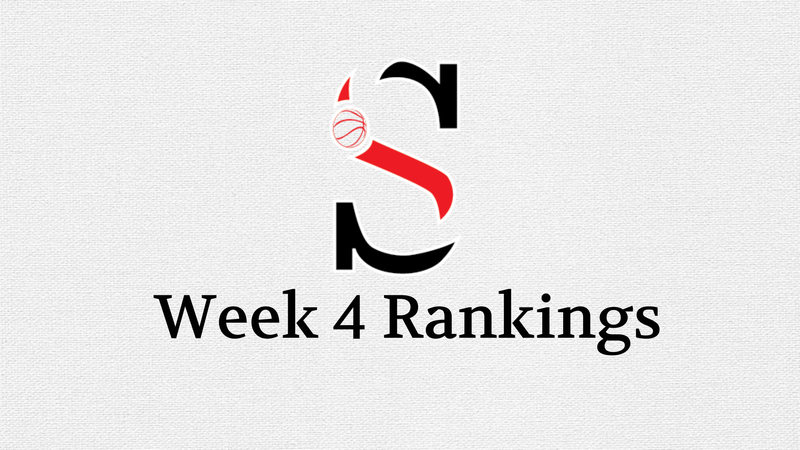 7 Valdosta climbs three spots following a dominant 68-43 win over Class 2A Preseason No. 1 Josey. No. 3 Northview moves up two spots thanks to a 45-39 win over a shorthanded Class A-Private No. 4 Holy Innocents’. In Class AAAAA, No. 1 Villa Rica shook off the rust after a close 52-46 win over Heritage-Conyers to beat No. 6 Lithia Springs 75-54 behind Aliyah Hindsman’s 34-point outburst. No. 3 Harris County drilled Dothan (AL) 53-31 as Taziaha Fanning double-doubled with 20 points and 19 rebounds. Decatur (1-2) and Starr’s Mill (0-1) exit the Top 10. The Bulldogs had two tough losses to Class A-Private No. 5 Paideia 56-35 and to No. 8 Woodland-Stockbridge 63-40. The Panthers were dropped by Class 2A No. 9 Douglass 61-49. Into the mix are No. 9 Wayne County and No. 10 Carrollton. The Yellow Jackets beat Brantley County 52-30 to open the season while the Lady Trojans tip off their 2019 campaign against 3-0 Fayette County this Saturday. No. 2 Carver-Columbus took advantage of an undermanned No. 4 Henry County to earn a 57-45 victory in an early Top 5 showdown in Class AAAA. No. 3 Madison County is up two spots after defeating Mill Creek 76-57. The All-State tandem of Old Dominion-signee Jordan Bailey (35) and Kayla McPherson (33) combined for 68 points. No. 5 Flowery Branch is down two spots after losing to Class 3A No. 4 Dawson County 65-57. Luella (2-1) narrowly slips out of the Top 10 after a 58-54 loss to Class 7A No. 10 Grayson. They are replaced by No. 10 Marist, who scored a pair of Top 10 wins in their opening week by winning at Class 3A Preseason No. 10 Pace Academy 41-32 and at Class A-Private No. 9 Landmark Christian 57-40. Class AAA Savannah powers No. 1 Johnson-Savannah and No. 2 Beach cruised in their season openers, the Atomsmashers handling Dutchtown 58-31 and the Lady Bulldogs blowing out New Hampstead 68-39. No. 3 Hart County got 27 points from Western Kentucky-signee Torrion Starks and 23 from Nesha Alexander in their 72-50 win at East Hall. No. 4 Dawson County jumps inactive No. 5 Peach County after beating Class 4A No. 5 Flowery Branch 65-57 behind Clemson-signee Kaylee Sticker’s 31 points. Pace Academy (0-3) is a hard luck out after losing to three ranked teams to start the season: 41-32 vs. Class 4A No. 10 Marist, 64-21 vs. Class A-Private No. 1 Wesleyan and 45-35 vs. Class 7A No. 8 North Forsyth. They are replaced by No. 10 Jefferson who rolled Berkmar 70-4. There is a new No. 1 in Class AA after No. 3 Josey slips two spots following a 68-43 loss to Class 6A No. 7 Valdosta. No. 1 Dodge County will assume the top position as they enter play on Saturday against Class 5A No. 9 Wayne County in their season opener. No. 5 Laney inches closer to the top after beating Grovetown 54-43. No. 7 Fitzgerald defeated Pierce County 62-54 and No. 8 Banks County edged East Hall 47-34. No. 9 Douglass lost 54-53 at Class 7A Marietta but bounced back by knocking Starr’s Mill out of the Class 5A Top 10 with a 61-49 victory. Two of the three perennial powers in Class A-Private have handled their business with No. 1 Wesleyan beating Pace Academy 64-21 and Sequoyah 66-51 while No. 2 St. Francis kicked off the season with an 84-54 win over Class 3A No. 6 GAC. No. 4 Holy Innocents’ is down a spot after a 0-2 start. The Golden Bears were expected to be a little inexperienced this season but with All-State center Jill Hollingshead and Rachel Suttle unavailable early in the season, the back-to-back state runner-up was unable to get past Class 7A No. 4 Brookwood (58-57) and Class 6A No. 3 Northview (45-39). Once Coach Nichole Dixon can get her cast at full strength, the early season losses could prove valuable in building depth and confidence for her role players and bench come March. No. 5 Paideia is up three spots after winning at Lovett 59-57 and beating Class 5A Preseason No. 8 Decatur 56-35 on the road. No. 9 Landmark Christian tumbles four spots following losses to Class 4A No. 10 Marist 57-40 and Alexander 78-64. The biggest game in Class A-Public was No. 1 Telfair County stopping evenly matched rival No. 2 Wheeler County for the third straight time dating back to last season, 65-60. Preseason All-State picks Brandy Mackey (25) and India Wells (22) powered the Lady Trojans while the Bulldogs got 27 points from Keyona Mincey in a losing effort.